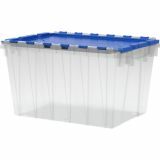 Akro-Mils KeepBox Container with Attached Lid - Keep Box is ideal for all household storage needs. Clear bottom allows instant identification of contents. 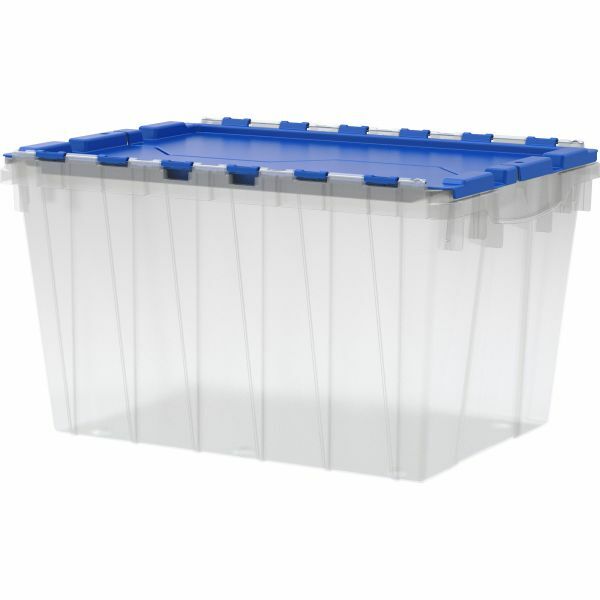 Lids are attached with full-length steel hinge pins for durability. Ergonomic handles make carrying easy, even under a full load. Unique rib design prevents jamming when nested on store shelves. Nesting feature makes it easy to safely store any household item and take up less storage space.